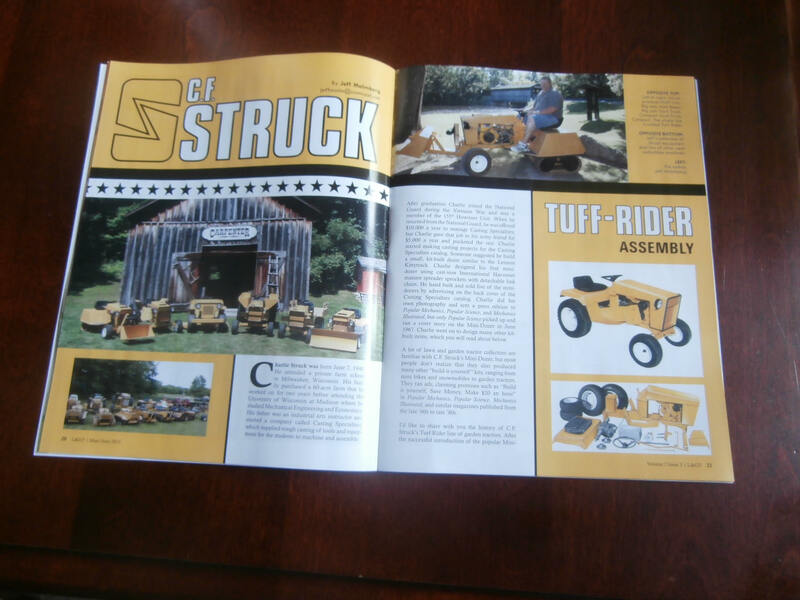 Jeff has been collecting various pieces of Struck equipment and Mini Dozers for many years. 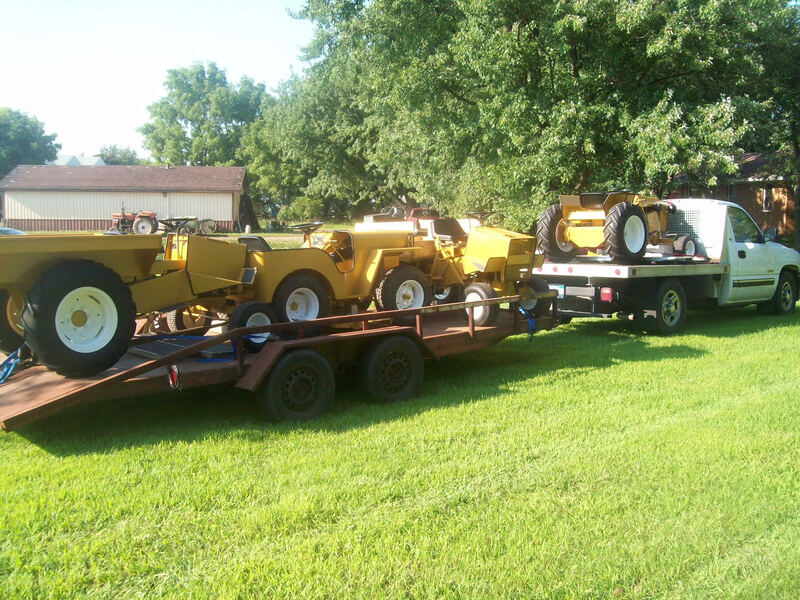 Most recently, he’s added another Mini-Dozer. …To put it simply, Jeff is ready for just about anything! 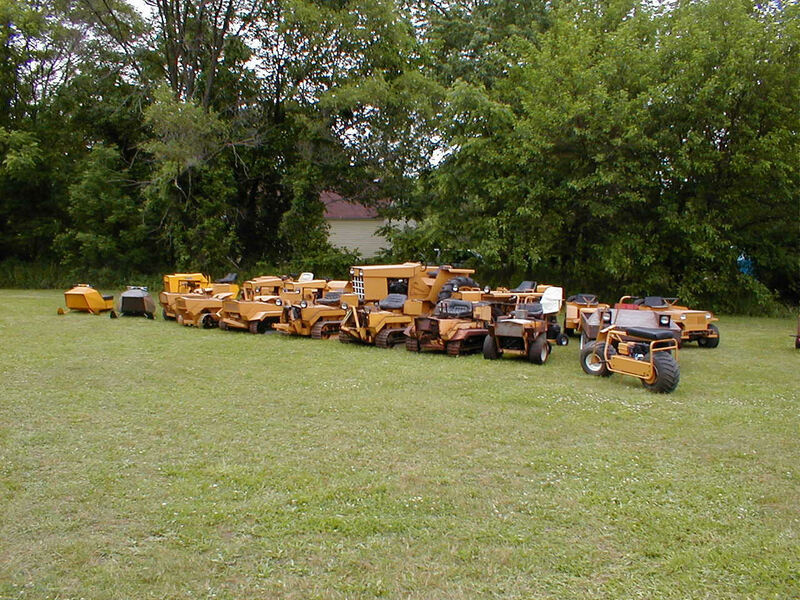 In addition to assembling his own Struck machines from company plans, he says his favorite restoration project was the one he did on the 9N Prototype Tractor. He says it was given to him “completely torn apart” and that he had to fabricate a few of the missing pieces. Although Struck equipment maintenance only calls for basic tools, Jeff has found it useful to have a welder and metal lathe on hand for creating new parts when necessary. 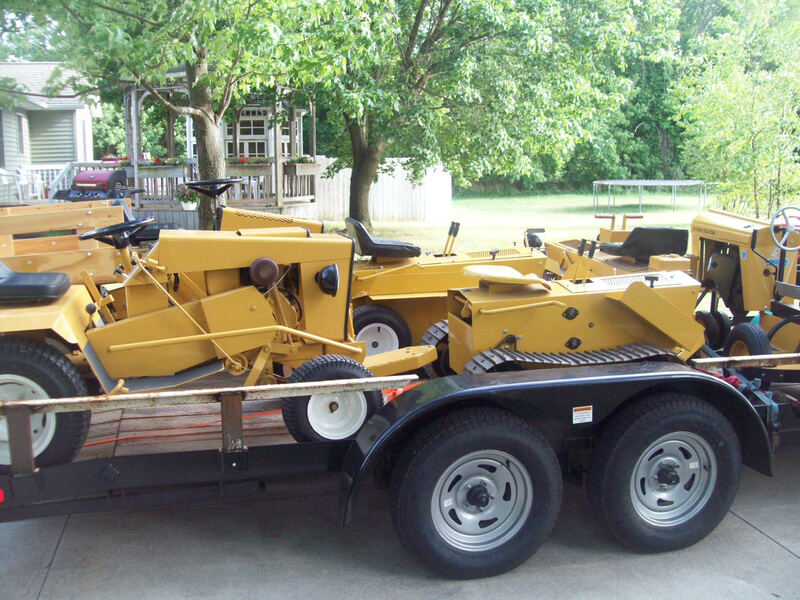 Throughout the years, Jeff has disguised family trips as opportunities to acquire pieces of Struck equipment. Once, his wife asked him why they were pulling an empty trailer on vacation! Surprisingly, Jeff doesn’t use any of his equipment for working. 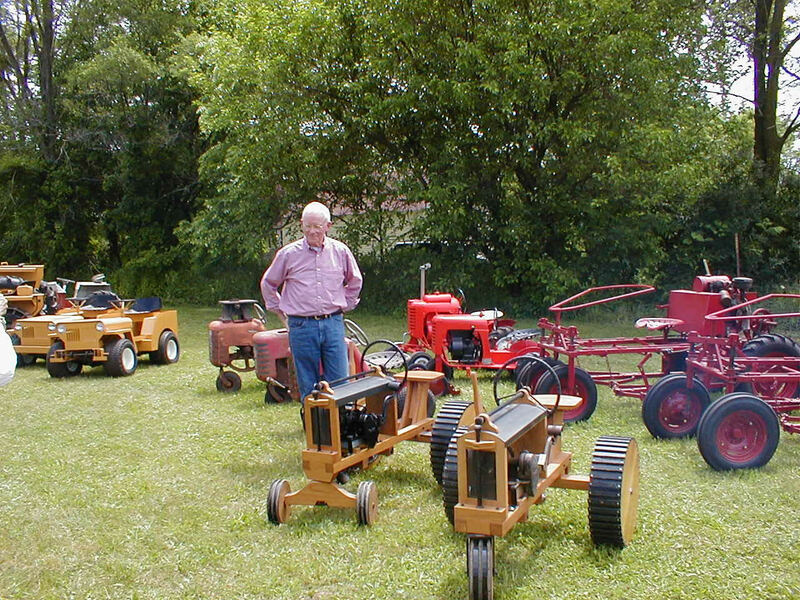 With over 100 motor driven vehicles, he tends to collect more for exhibition purposes. On Charlie Struck’s 70th birthday, Jeff arranged to have all of the equipment set out and threw a small party in his honor. For over 50 years, Struck Corp has helped families like Jeff’s make lasting memories with future generations and others in their community. Be on the lookout for new MAGNATRAC models in 2018! Just wondering if an enclosed cab, even one that could be removed and attatched easily, is on the drawing table? A good place to start might be a perusal of what Ventrac has done for their larger tractor and Yanmar has for their 60 hp tractor. Specifically for the MH 8000– I like the four post ROPS for the MH 8000–hope it still comes that way. How about radio control? I ask this because i’m wondering about ergonomics—can taller folks-6’4″—fit and operate comfortably on the MH 8000? All electric MH 8000–solid state batteries? Great questions and thank you for the kind comments regarding our products! Right now we do not have any immediate plans to offer an enclosed cab, however, you never know what the future holds. There has been a fair amount of feedback regarding that question in the larger MH series of MAGNATRACS. We do see the value in it. We have a fair amount of taller people operating our equipment, we’ve never had an issues regarding that. At this time, our engineering department is working on other products. Stay tuned for new products and future product updates! where can I et the yellow paint used on my Magnatrac to touch uo some rusty spots? Hi Earl. I just looked up your account, it looks like you have the MH5000. Unfortunately, our paint code as changed a bit since that time, so our current stock will not match. 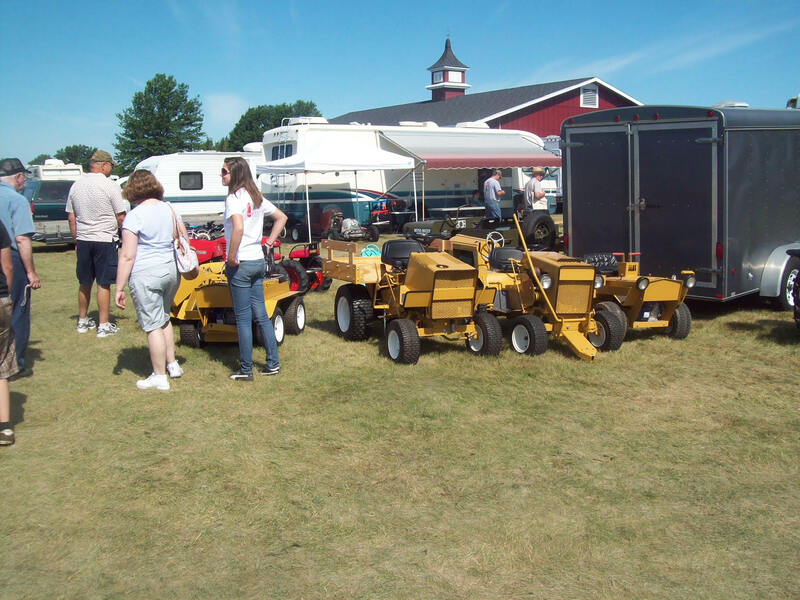 If you just want to touch up a bit, you could try taking a small piece off the tractor to match it up locally with either a paint shop or a CAT dealer. That may be your best bet. We can sell you the newer color touch up paint in a variety of different sizes. Feel free to give us a call at: 1-877-828-8323 to order.